Got better things to do than pull out weeds on the weekend? Of course you do! Kick up your feet, relax and let the team at Dual Group take care of the rest. Our landscaping services in Cherrybrook will keep your garden healthy and looking fantastic all year round. From lawn care to garden maintenance, turf solutions and waste removal – we have you covered. At Dual Group, we get that every garden is unique. That’s why we take the time to understand your exact needs. And make sure the final outcome blows your expectations out of the water. This means you can enjoy a garden that is not only vibrant and healthy, but will earn you compliments-galore! No matter how big or small the task, you can trust our friendly team will show up on time and get the job done right. All organic material and waste is removed from the premise by us – so the space is ready to enjoy. Using the latest landscaping tools combined with an eco-friendly approach, Dual Group provides a range of landscaping services to enhance the health and beauty of your garden. Do you need a one-off or regular treatment plan? You have the freedom to decide. Dual Group will be happy to provide a custom solution that caters to your schedule and personal requests. Whether your task is big or small, you can be confident we have the skills, labour and resources to handle even the toughest projects. Lawn Care – Let us take care of the little things you don’t have time for such as lawn mowing, weed control, edging and leaf blowing. Fertilising – Choosing the right fertiliser is vital to a healthy, happy garden. We can tell you exactly which type of fertiliser is right for your soil. And we can supply, deliver and lay it down for you. Plant Management – Spruce up your garden with quality new plants, trees and shrubs. We can help you choose the right plants and then order, supply and plant everything for you. To save you time on garden maintenance, we can also install a custom water irrigation system for you. Garden Care – Get your home in tip-top shape before the lease ends or a property settlement. From hedging to weeding, pruning, mulching and garden waste removal – we’ll make sure your garden looks amazing. Turf Solutions – Switch to synthetic grass that’s low maintenance yet still looks and feels like the real thing. Our team will be happy to measure, deliver and lay down the turf of your choice. Strata and Commercial – Dual Group is available to provide year-round garden maintenance for strata and commercial properties in Cherrybrook. Whether you need one-off or routine maintenance, there are no lock-in contracts to tie you down. Want more than just your average ‘mow, blow and go’ company? Look no further than Dual Group. We guarantee you will love the experience and be amazed by the outstanding results. Request a FREE quote from Dual Group today! 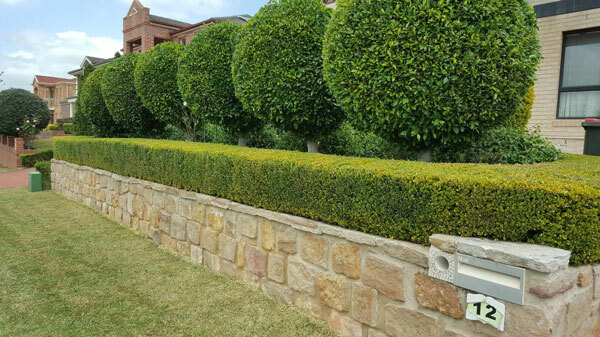 For expert landscaping services in Cherrybrook, call 1300 303 539 or complete the online form. One of our friendly team members will be happy to book an appointment for you.